Choose from a selection of market analysis written by our experts. The topics covered in these articles include reviews of the market situation in selected sectors and information about trends and forecasts for CEE countries. Some articles also discuss issues related to market, product and consumer research. An investment, not an expense. Why marketing research and market analysis are essential for a company’s success. Sign up here to receive our free monthly newsletter Consulting & Research Update. Information and reviews provided in the newsletter will help you follow developments in the CEE countries, find out the secrets of conducting market and marketing research projects and investing in the CEE region. 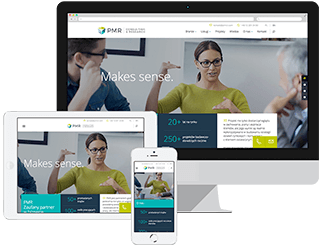 The PMR Research team prepared a glossary of terms and phrases used in market and marketing research. Information contained in the glossary will be helpful in getting to know the types of research studies, techniques and methods. The glossary will also be useful in clarifying the differences between quantitative and qualitative research and highlighting your knowledge about research-related issues, etc. What does the term "quantitative research" mean? What does "mystery shopping" involve? How to identify a "research issue"?